Experience the best of Spanish culture and sites in one spot. Enjoy the wide array of audio-visual displays found throughout Poble Espanyol. Barcelona's Montjuic is the city's highest mountain. Its park is also a microcosm of the city's culture - the beautiful nature, fascinating museums and well-known art. What better way to get a view over the slopes of Barcelona than from the air? The cable cars departing from Montjuic have been open since 1970 and will let you see the city in a whole new light. 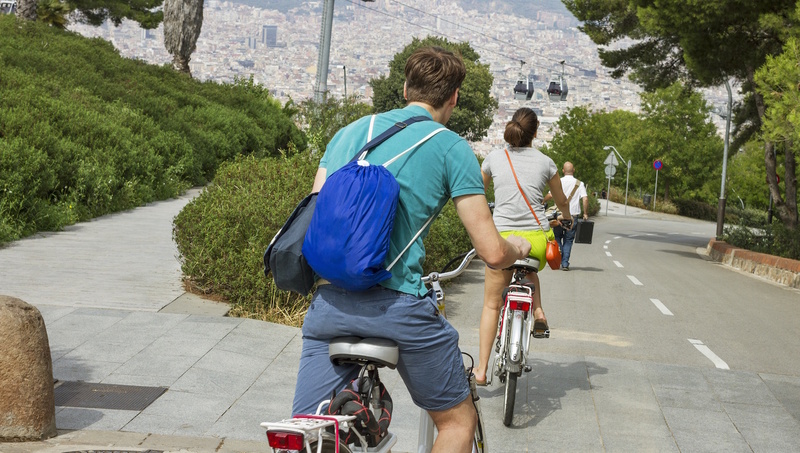 Taking a bike tour around Barcelona is a healthy, ecological, and sociable way to explore the city! 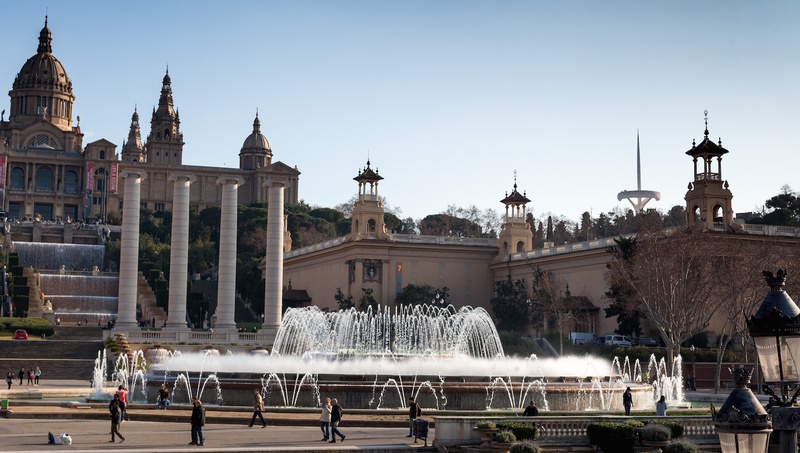 Parc de Montjuic is one of the stops - pedal up and downhill for an exhilarating experience. 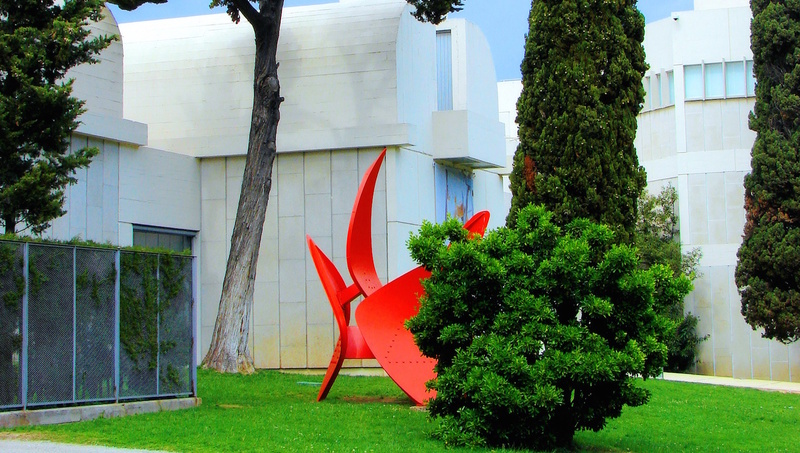 Peeking out of the hill, this place provides a complete introduction to the artwork and life of Joan Miro, the legendary Barcelonian painter. More treats for art fans: this is an aggregate of the different styles of art from the Catalonia region, which maintains its own unique identity from the rest of Spain. Check out the permanent Romanesque exhibition. 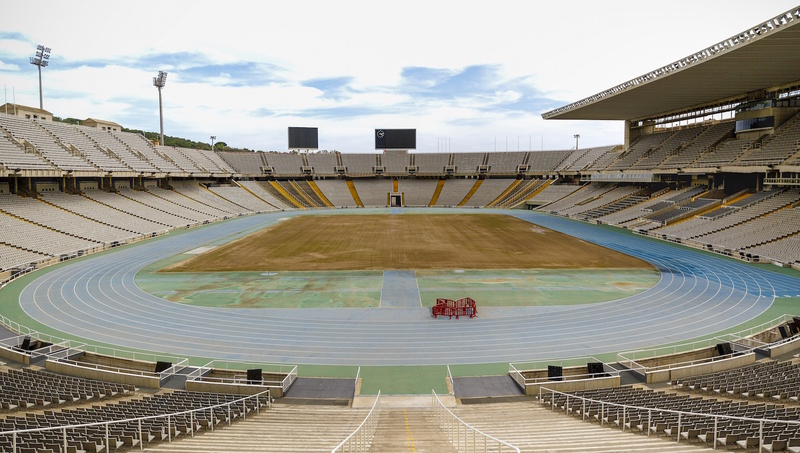 In 1992, Barcelona hosted the Olympic Games right here in Parc de Montjuic. Italian architect Vittorio Grigotti designed the stadium's unique olympic tower. 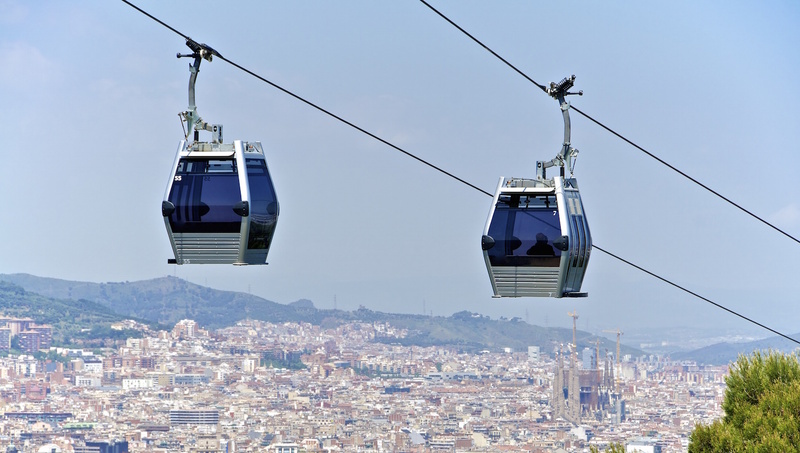 Please note that in the Montjuic cable car seating is limited to eight people per car. Barcelona's status as capital of Catalonia means that the official language is Catalan. If you already know some Spanish or French, it'll be easy to learn a few Catalan words - locals will be very happy to hear you try! It's easy to forget sun safety when you're having fun, but remember to keep reapplying sunscreen - especially if you're active outdoors! If you think you'll be sampling a lot of museums in Barcelona, why not look into a ticket that will give you discounted entry to a few museums or skip-the-line privileges? Opening hours vary between the castle and park depending on the time of year. Adult general admission for park and castle is 5 euros. The park area is large and will take some time to explore. Can enjoy on your own or use a guide which will give you additional insights into the gardens, castle and grounds. Go to the Paral-lel Station then take the funicular up to connect to the cable cars or walk/bike from there. The fountain shows are a fantastic highlight and well worth the trip up to watch. As with any popular tourist spot, keep an eye on your belongings and aware of any pickpockets.